There are lots of similar products on the market but RevitaLash™ , winner of InStyle Best Beauty Buys 2012, is far and above the best eyelash conditioner. If you’re looking for thicker, fuller longer eyelashes without the need for mascara or eyelash curlers, RevitaLash eyelash conditioner will deliver amazing results in just a few weeks. 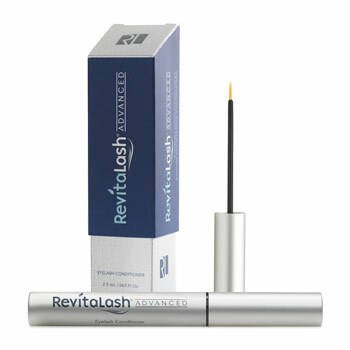 RevitaLash™ was developed by renowned American ophthalmologist, Michael Brinkenhoff. He developed the product for his wife who had been suffering from breast cancer and had lost most of her eyelashes. RevitaLash™ achieved such impressive results, that they agreed it should be shared with other women. RevitaLash is suitable for anyone who has thin, sparse, eyebrows or eyelashes, including people who have lost lashes and brows due to cancer, thyroid disease or menopause.